Can Oxlade-Chamberlain fill Coutinho's shoes? 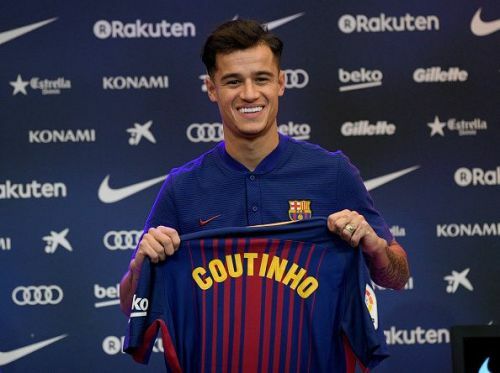 In a move that came as a surprise to no one, Philippe Coutinho completed his dream move to Spanish titans Barcelona for £142m, leaving Liverpool short of an inventive midfielder. On transfer deadline day in August, Liverpool had swooped in and signed Alex-Oxlade Chamberlain from Arsenal for £40m. The cost was thought to be outrageous by numerous pundits and fans because of what had up until now been a disappointing Premier League career for the once promising Southampton product. After a tough start to life at Anfield, which was restricted to sporadic substitute appearances, recent displays have shown that he is beginning to click as a member of the Reds midfield. He looks a different player now and his performance against Bournemouth in a resonating 4-0 win was in sharp contrast to his display against Leicester when Liverpool tumbled to a 2-0 defeat in the League Cup. He was Man of the Match in the Bournemouth game and from that point, he has continued to impress, finding the net against Swansea and most recently against the league leaders, Manchester City. It is the performance against City that has made people sit up and begin to ponder whether he has the ability to be Coutinho's successor. He went toe-to-toe with possibly the best player in the Premier League; Kevin De Bruyne and came out on top. His surging runs in the opening stages of the game concluded with an amazing low finish into the bottom corner and from that point, his performance improved. Under Arsene Wenger, Oxlade-Chamberlain had failed to adjust to the Frenchman's composed style of play and moderately slow build-up. Under Klopp, he has prospered in the snappy, high press style that the German loves. He suits this style better as he is a player brimming with energy who wants to chase down every ball, precisely the sort of player that Liverpool requires in their midfield. Regular playing time is something that he has struggled to get before Coutinho's departure but with an extended run of first-team football under his belt and if he can consistently put in performances like those against Manchester City and Bournemouth, he will nail down that starting place. 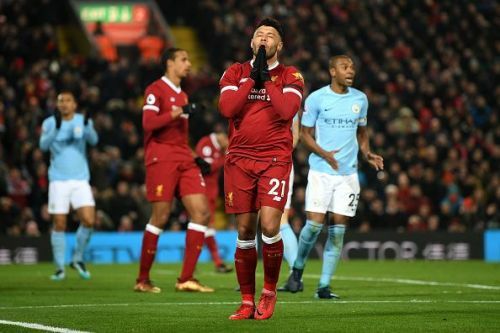 It is impossible to say whether he will have a similar impact as Coutinho did as the Brazilian is a special talent but Oxlade-Chamberlain has the tools to be just as effective in his own way.